. Father & Son Restoration ProjectI know Jeeps and Willys pretty well, so in early 2011 I began asking my dad if he wanted to do a car restoration project. My dad is just a “weekend mechanic”, so he was pretty resistant to the idea. Then he started thinking that a father/son project might be kind of fun. We liked the looks of the 40’s/50’s flat-fenders, so we found a 1951 CJ3A that was in good mechanical condition and with not too much rust. It ran real well, so we drove it around for a few weeks. Then we set an ambitious goal for completion of the project by early September so we could take the Willys to a big classic car show. We changed the seals and gaskets on the engine and drive train, repaired loose steering and suspension parts, and started taking all the body parts off the frame, we knew there would be no turning back! The Willys had the usual dents, rips and missing parts, so we learned how to do body work as we went. We wanted to keep it as original as possible because restoring it to original would make it more unique. Over a lot of weekends and late nights we took it down to bare metal. We learned how to body fill so that it would come out straight and clean when we had it painted. We took turns encouraging the other to “do it right”, and we did. We kept lists of needed replacement parts and placed several orders as we went. We were both pleasantly surprised at how readily available most of the parts were. I chose a color close to an original that was used on the 1951 CJ3a models but also a bit unique. We found a great painter, and when we saw the painted pieces it got us excited all over again and even more determined to get her finished on time. It was now mid-August and time was running short to make the show! We began the task of re-assembly and replaced every nut, bolt and screw so that it matched the original. Thank goodness we took a lot of photos before and during the disassembly – something I would encourage everyone to do. We finally finished it during the first few days of September, and you have never seen two guys more proud of the finished product! We took it down to the car show and everyone just loved it as it was one of only a few Willys there. We had a great time at the show and plan to return next year. Later in September, it won “Best of Show” at another large car show in our local area. During the course of the project we alternately laughed, argued, got excited, frustrated and experienced all the other emotions that are typical of a project like this. Both of us will tell you, however, that we will always cherish the experience and the finished product, and neither of us would trade the experience for anything. 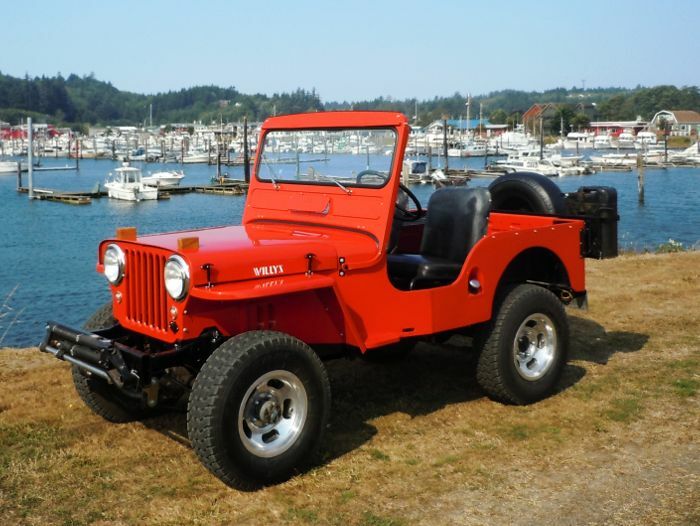 I am sure that we will have the Willys for many years to come, and someday I will show it to my son and tell him our story right before we start our own project together. What a great experience!